Adam Saltsman’s work focuses on forced migration from a variety of perspectives. From a rights perspective, Adam looks at the ways in which international refugee law is interpreted and practiced on a local level. 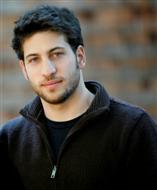 Adam predominately focuses on migration in Southeast Asia and the Middle East. He recently conducted research in Jordan on the state of Iraqis displaced in Amman and his Masters Thesis, is titled, “Contested Rights: Subjugation and Struggle among Burmese Forced Migrants in Exile.” He is now preparing a dissertation proposal to qualitatively and quantitatively measure the contradictions between current international refugee policy and the realities of contemporary forced migration. This is one of three case studies that were conducted to test the methodology for profiling displaced persons in urban areas. The full report on the methodology is available here…. Sign up for our email list to receive reports, papers, and event announcements in your inbox. ©2019 Feinstein International Center. All rights reserved.